Comparto con ustedes la siguiente información por sonsiderar puega ser de su interés. "The promise of international laboratory animal science-contributingto the power of human and animal healing"
Please feel free to forward this announcement to others who may beinterested. October 24, 2010 Bethesda, MDIACUC 101 - is a basic course that provides a one-day didactic andinteractive exploration of IACUC fundamentals appropriate for new andseasoned IACUC members, IACUC affiliates, and individuals responsiblefor their institution's animal care program. The course provides a basicyet comprehensive overview of the laws, regulations, and policies thatgovern the humane care and use of research animals. Discounted registration rates available through August 31. ● Keynote Speaker (2010 Jacob Markowitz Award recipient) - Dr. StevenArnoczky"Repairing the Injured Knee: The science behind the surgery". A lecturereviewing the surgical research that has helpeddevelop the procedures and techniques used to treat ligamentous andmeniscal injuries in human knees. ● Featured presentation - Lennox Hoyte, MD"Robotic Surgery in Gynecology in Pelvic Floor Disorders". This lecturewill review robotic approaches to themanagement of the common gynecologic and pelvic floor disorders inwomen. The aim of this workshop is to demonstrate and allow practice of, morecomplex suturing techniques. Thefollowing types of suture techniques will be performed in swine:- Hand ties (one handed)- Hand ties (two handed)- Inverting suture patterns - hollow organs (Cushing vs. Connell)- Oversew patterns (Lembert, Halsted and Parker- Kerr)- Purse- string (circular version of Lembert)- Tension sutures - Muscle - Horizontal, vertical mattress- Tension sutures - Tendons - interlocking loop and three loop pulley- Deep hand ties in the thoracic and abdominal cavityo Computer Assisted Surgery: Getting a Grip on Robotic SurgeryThis didactic and laboratory session will demonstrate intra-operativerobotic surgical techniques. Thisworkshop is designed to expose participants to the da Vinci® SurgicalSystem. Each participant will engage inhands-on experience necessary to obtain a firm understanding of theaspects involved in using the da Vinci®Surgical system. The workshop will introduce the da Vinci® System andaddress, OR Set-up, positioning ofequipment, port placement, manipulation skills, dissection and suturingtechniques (non-animal workshop). ● Meet the Vendors - Meet with companies developing the cutting-edgetechnologies used in the surgical research field.Including but not limited to surgical monitors, instruments,anesthesia, medical devices, ports, telemetry, lab animalresources and surgical services. ● Application is pending for this program to be approved by theAmerican Association ofVeterinary State Boards (AAVSB) through RACE (Registry of ApprovedContinuing Education).Questions? 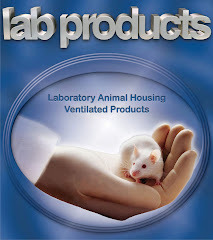 You may want to consider having your personnel take the Laboratory Animal Allergy on the AALAS Learning Library. This course provides abasic understanding of how laboratory animal allergies (LAA) areacquired, steps to prevent them from occurring, and how an effectiveoccupational health and safety program can help control and monitortheir prevalence within an institution. Its lesson titles areEpidemiology, Allergy Mechanisms, The Development of Symptoms,Assessment, Treatment, First Steps to Preventing LAA, SpecificApproaches to Controlling LAA, and Your Program. The content wasdeveloped by Gregg Stave, MD, JD, MPH, Robert Bush, MD, and WilliamMiddleton.The Laboratory Animal Allergy course can be found under theOccupationalHealth and Safety track in the Animal Care and Use Library(http://www.aalaslearninglibrary.org/). BMBL is produced by the CDC's Office of Health and Safety andthe National Institutes of Health to provide national guidelines topromote the safety and health of workers in biological and medicallaboratories.The BMBL was revised in December 2009* and the fifth edition is nowavailable for purchase or download. For additional information, visitthe CDC's biosafety website at http://www.cdc.gov/biosafety (or http://www.cdc.gov/od/ohs). *Please be advised that the online version of the BMBL contains anumber of updated websites which have changed since publication, and asa living, online reference resource, may continue to be updated aswebsites continue to change. In addition, minor editorial changes weremade to the Foreword, Contributors, Contents, Appendices, and Acronymssections, while maintaining the integrity of the document's full text.In-text errors which are subsequently identified will be included in anyerrata to be published (online only); look for any errata to be postedon alongside the BMBL on CDC's biosafety website (links above).